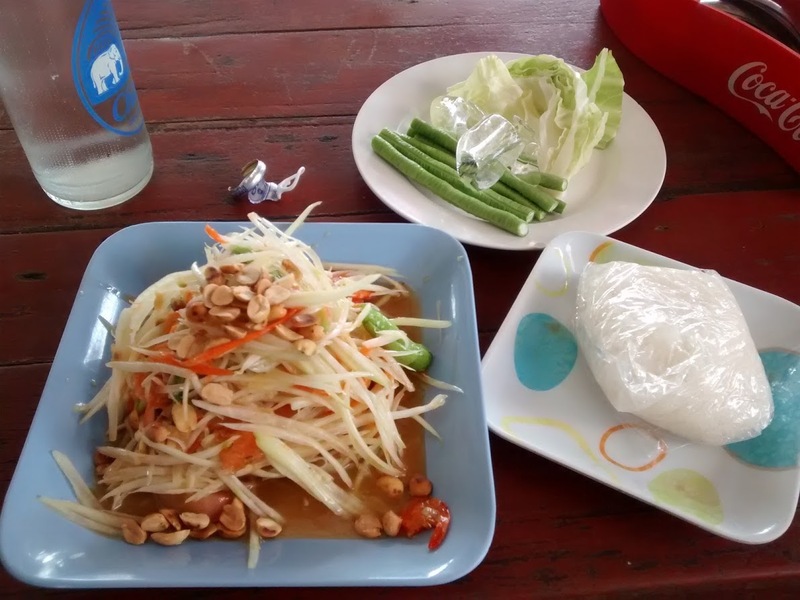 Som Tam – It's a Britta Bottle! Som Tam (Papaya Salad in English) is easily my favorite meal in Thailand. I LOVE Som Tam. When we had our Thai exchange student she made it for us, and it was so spicy that I ate it over the sink with my eyes watering, but it was delicious. Oh my goodness, that sounds like such an amazing experience! I usually ask for it with only a little bit of spice, since I’m a whimp, but it’s still sooo good. It sure is! I highly recommend trying som tam if you ever get the chance to. Previous PostPrevious Where in the World am I?